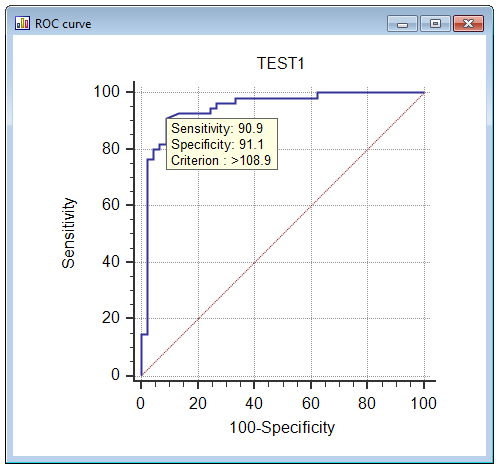 MedCalc is the most user-friendly software forReceiver Operating Characteristic curve (ROC curves) analysis. The MedCalc ROC module includes comparison of up to 6 ROC curves.The software includes Bland & Altman plot,Passing and Bablok and Deming regression and many other procedures for method comparison studies and laboratory method evaluation. AUC ± 1.96 its Standard Error. Calculate optimal criterion value taking into account costs: option to calculate the optimal criterion value taking into account the disease prevalence and cost of false and true positive and negative decisions (Zweig & Campbell, 1993). MedCalc creates a list of sensitivity, specificity, likelihood ratios, and positive and negative predictive values for all possible threshold values. Estimation of sensitivity and specificity at fixed specificity and sensitivity: an option to compile a table with estimation of sensitivity and specificity (with a BCa bootstrapped 95% confidence interval) for a fixed and prespecified specificity and sensitivity of 80%, 90%, 95% and 97.5% (Zhou et al., 2002). Bootstrap Youden index confidence interval: an option to calculate a BCa bootstrapped 95% confidence interval (Efron & Tibshirani, 1994) for the Youden index and its associated criterion value. These options require bootstrapping which is a computationally intensive and sometimes time consuming technique. MedCalc can compare up to 6 ROC curves with the method of DeLong et al. (1988) or Hanley & McNeil (1983). The software gives the difference between the areas under the ROC curves, with standard error, 95% confidence interval and P-value. 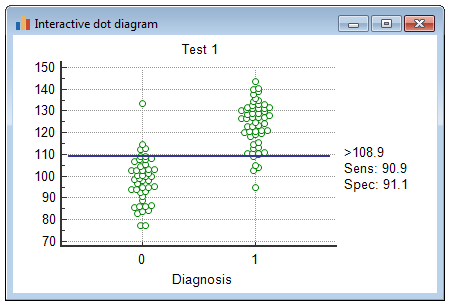 MedCalc is the most commonly used software for ROC curve analysis in biomedical literature. See:ROC curve analysis features of MedCalc and MedCalc manual: ROC curve analysis. 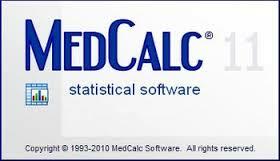 MedCalc is compatible with all 32-bit and 64-bit Windows versions starting with WINDOWS XP (with Service Pack 3). 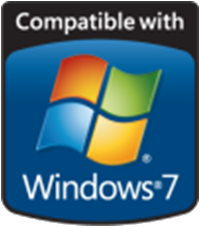 It has obtained the official “Compatible with” Windows Vista, WINDOWS 7 and Windows 8 logo from Microsoft. Software with the Compatible with Windows logo is certified to be virus free, to install and uninstall cleanly, and to integrate seamlessly in Windows. For technical details about Windows certification, see Certification requirements for Windows desktop apps (Microsoft site). PC with WINDOWS XP , Windows Server 2003, Windows Vista, Windows 7 or Windows 8 (32-bit and 64-bit versions). MedCalc Software is committed to providing high-quality products and services that are both useful and accessible to all potential users, including individuals with disabilities. an option for large dialogs: make text and buttons indialogs larger and easier to read.To enable large dialogs in MedCalc, you start MedCalc and select Options in the Tools menu. In the left panel, click General and next select the option Large dialogs in the right panel. support for high resolution displays (high DPI support): make text and icons larger without adjusting your monitor resolution by changing the DPI (dots per inch) scale.To enable Windows high DPI you click Control Panel, and type display into search box. Then click Display, and select a preset size or enter a customize size. The change takes place the next time you log into Windows. Open Appearance Settings by clicking the Start button and then clicking Control Panel. In the search box, type window color, and then click Change window colors and metrics. Under Basic and High Contrast Themes, click the high-contrast color scheme that you want to use.